Print HGL files in batch automatically. 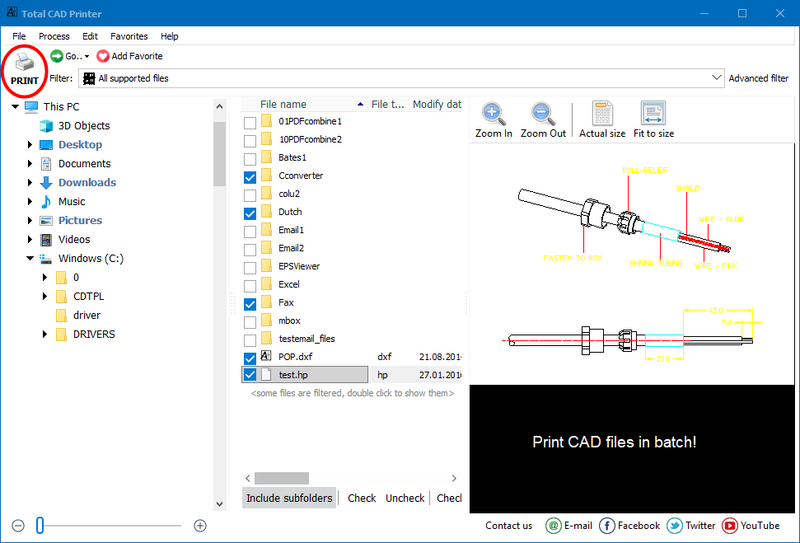 You are here: CoolUtils > Total CAD Printer > Print HGL files in batch automatically. PLT format is one of the most widespread plotter file types that are used for creating printable plotter documents. The great advantage of PLT vector files is that they can be scaled without loss in quality. PLT also is a standard file format for AutoCAD software. While creating PLT files is a simple task, its printout may cause some difficulties. As a rule PLT files are specifically created for some plotter version. If you have plotter of another version, it can be a problem to make a printout. It is very popular occasion for those who work with lots of drafts from various clients. It is not a problem for those who have Total CAD Printer. This software is made as a versatile tool for any printers, paper size and number of files for printing. The process of preparing to printout via Total CAD Printer is very short and clear. 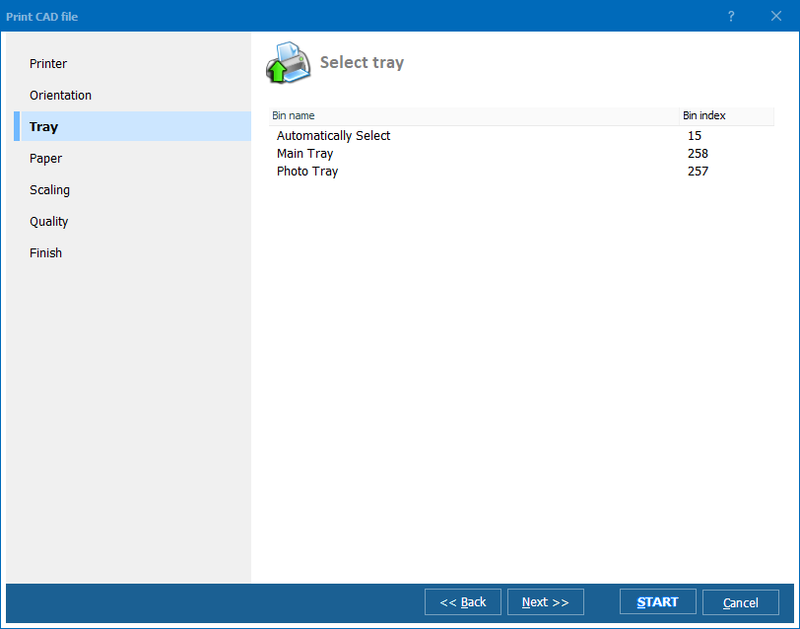 You select required file and set printing options in the dialog window. It opens automatically after you click on “PRINT” button at the top left corner of Total CAD Printer window. The available options are printer selection (you select required printer from the list), image orientation, tray, paper size (including custom size), scaling and print quality. Image orientation has “auto rotate” mode that automatically selects the orientation best suitable for specific image. If you select paper size that is less than the image size, this PLT printer will print it by parts that can be joined into one draft. Total CAD Printer is a great choice to print PLT in batch. 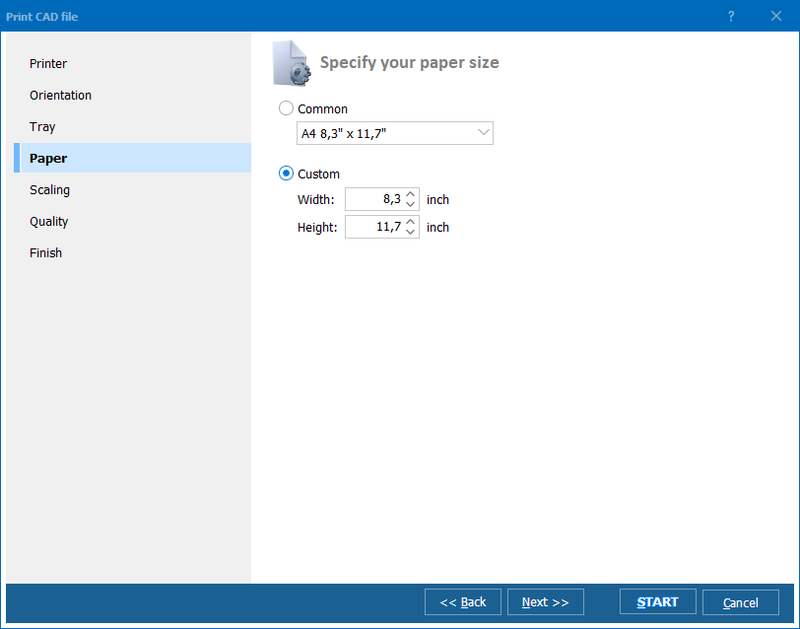 This means that you can create the queues of documents that will be printed with the same settings. This feature allows to simplify the process greatly, giving ability to print big groups of documents within few clicks. Total CAD Printer is a proved leader in PLT printers’ software. Buy it now and forget about any difficulties in plotting output.